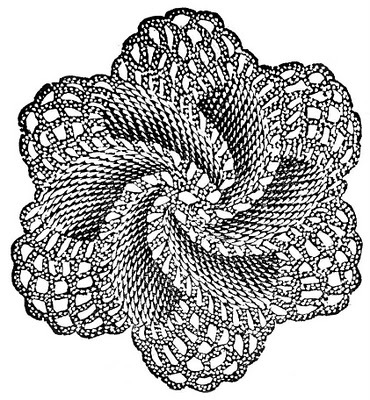 This image is from an ad in an 1880’s magazine. 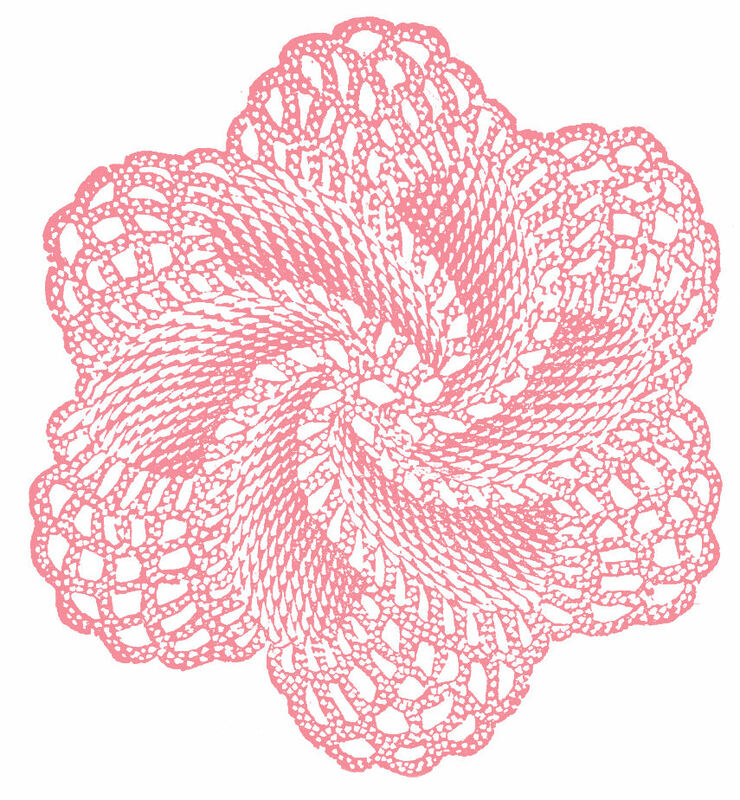 The ad was for a crochet thread and featured this really cute Doily looking Rose! I’ve included the original black and white version at the bottom. This one makes a great Photoshop Brush. After making it into a brush, I made the pink and blue versions that you see here. So pretty!! Retro Seated Woman Pulling on Fancy Stockings Clip Art! Vintage Sewing Clip Art – Thread – Embroidery Vintage Dinner Image! Now, why didn’t i think of that. Pretty neat! 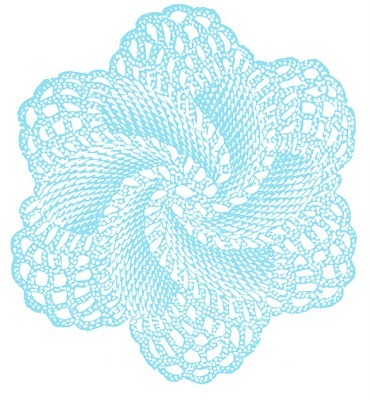 Man I wish they had the pattern available for that doily! It’s awesome! I want to make it. Thank you Karen! 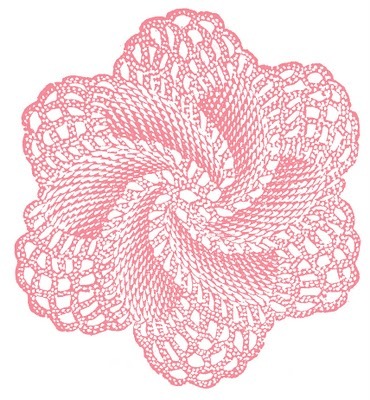 I was looking for some doilies…you always seem to know what I need!!!! Awesome! I’m glad you all are pleased with it!! 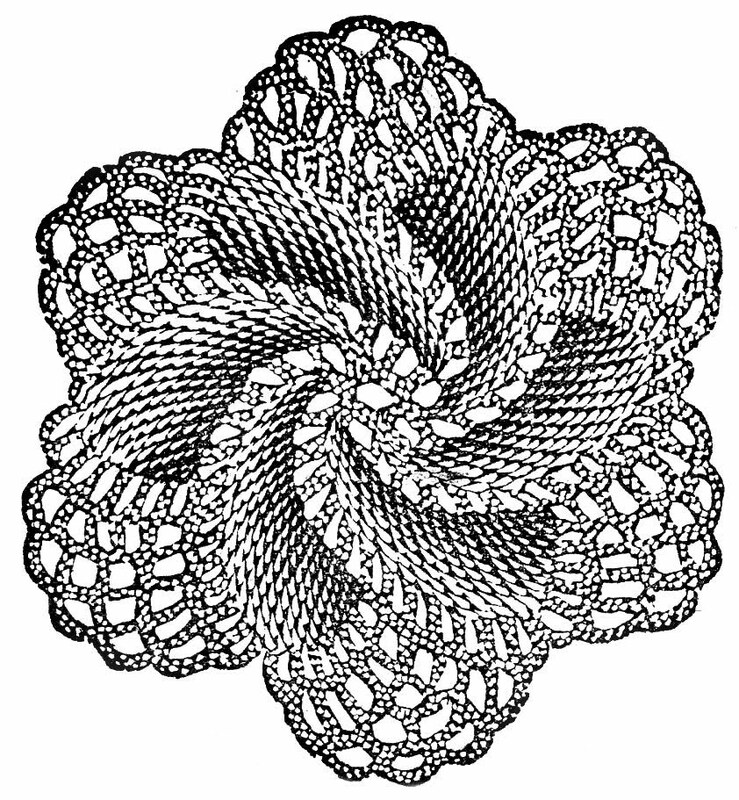 Maleahbliss, if I could crochet, I would want to make this too!! Thanks for the brush suggestion!!! These graphics look great, I could think of a million ways and places to place and use them! Thank you so much Karen! Love these colors. I am having a giveaway over at the Junction! I am using an image I believe I got from you. Come on over! My new blog is up and running now. Hope to start a new post on the Cabinet of Curiosities shortly – it’s just getting its final coats of lacquer at the moment, & I’ve managed to locate some tiny drawer handles! My blog is http://yale-design.blogspot.com/ and I’ve put a brag Monday link on it. Just pondering my next project. Karen, Thank you so much for all your wonderful gifts. Could you tell me how to convert the black and white pictures into PNG files, with transparent backgrounds, in Photo Shop Elements? I would love to use these in digita scrapbooking. Very cool looking. I’m not sure if I like the B&W or the re-colored versions the most. I need to go figure out how to make a brush from an image. Is it hard? Guess I will find out! Thanks for the inspiration (and the images, of course)! 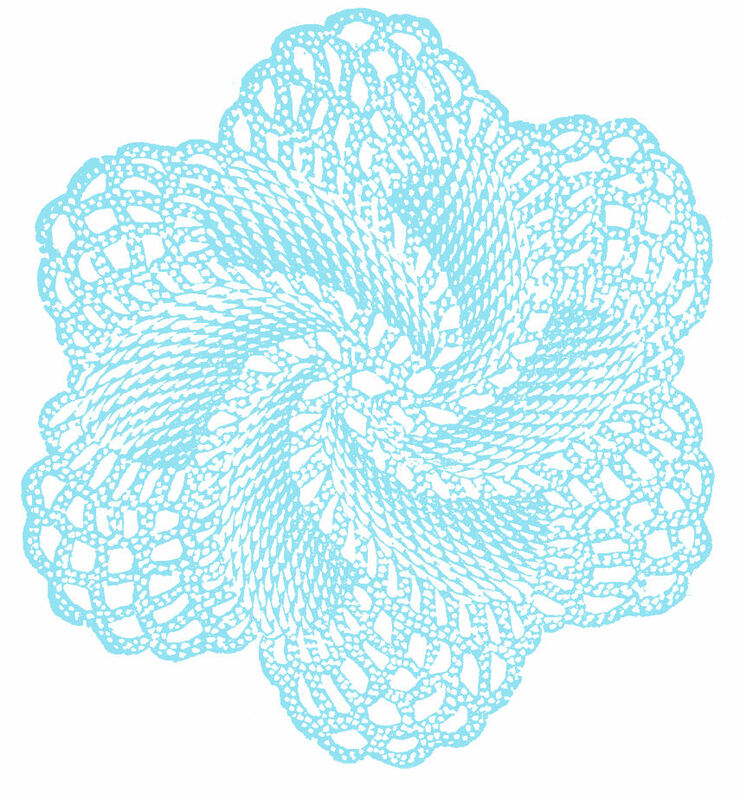 Where might I get the pattern for the crochet doily rose. I would love to make one for my twin sister.